This wall sconce will update your home with its eye-catching design. Featuring a satin brass finish and matte black shade(s), this fixture will accommodate a variety of dicor styles. With its easy installation and low upkeep requirements, this wall sconce will not disappoint. This wall sconce will update your home with its eye-catching design. Featuring a brushed nickel and black finish this fixture will accommodate a variety of dicor styles. With its easy installation and low upkeep requirements, this wall sconce will not disappoint. This wall sconce will update your home with its eye-catching design. Featuring a matte black finish this fixture will accommodate a variety of dicor styles. With its easy installation and low upkeep requirements, this wall sconce will not disappoint. 2-Light Satin Brass Wall Sconce with Matte Black Steel Shade - 9.125 inch This wall sconce will update your home with its eye-catching design. 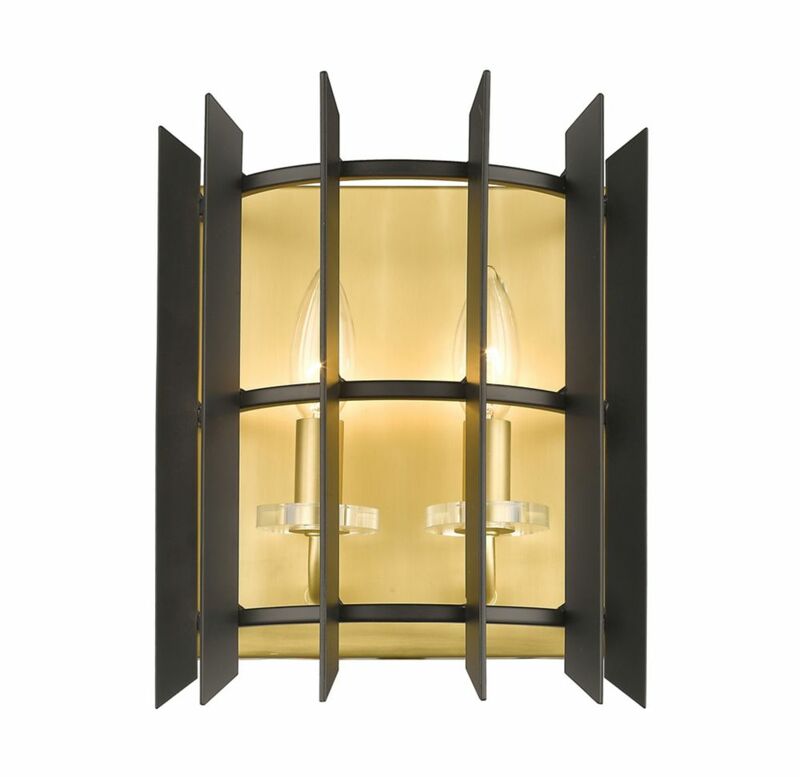 Featuring a satin brass finish and matte black shade(s), this fixture will accommodate a variety of dicor styles. With its easy installation and low upkeep requirements, this wall sconce will not disappoint.